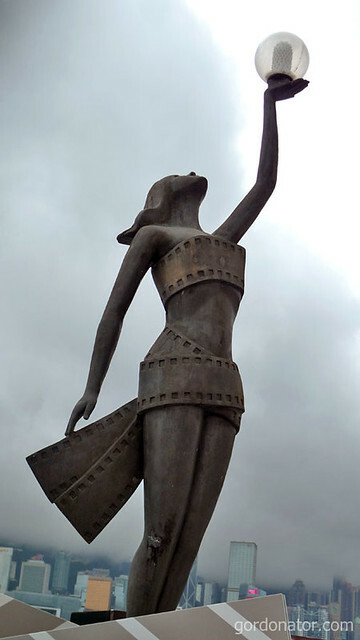 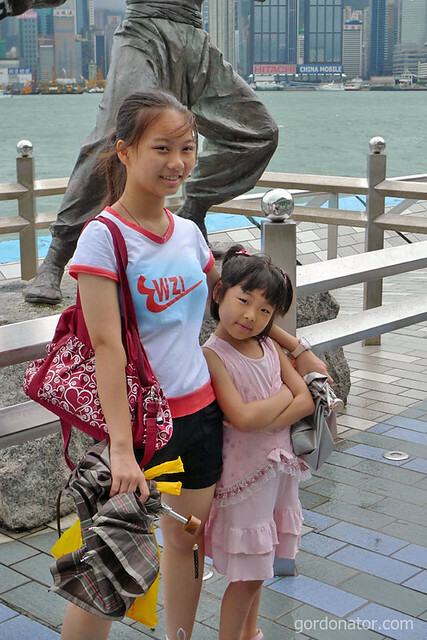 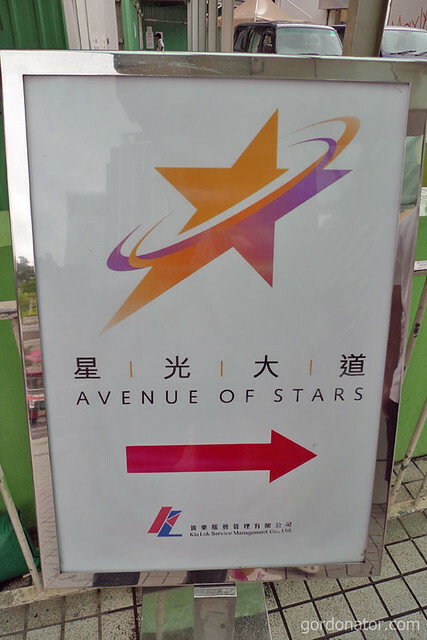 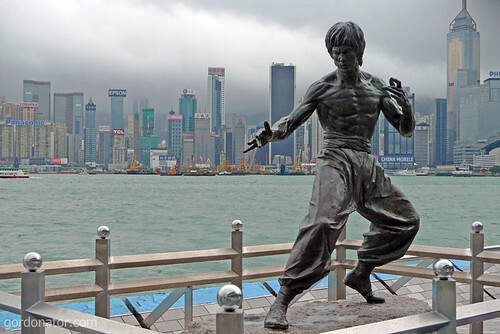 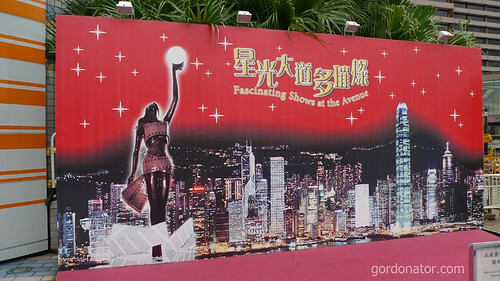 Located along the Victoria Harbour waterfront and a short walk from Tsim Sha Tsui train station is the Hong Kong Avenue of Stars. 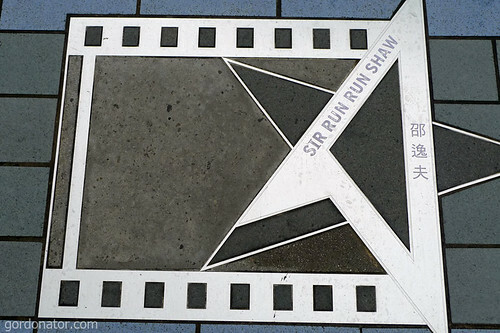 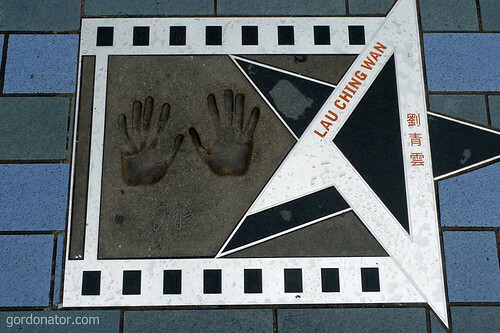 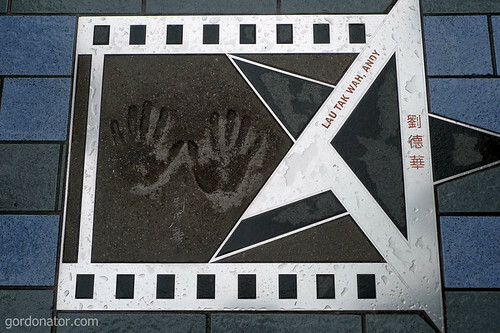 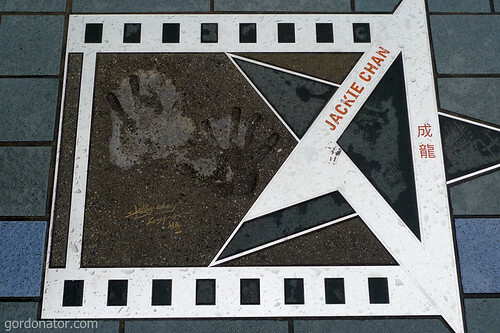 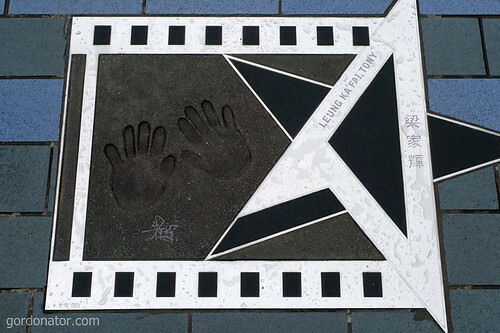 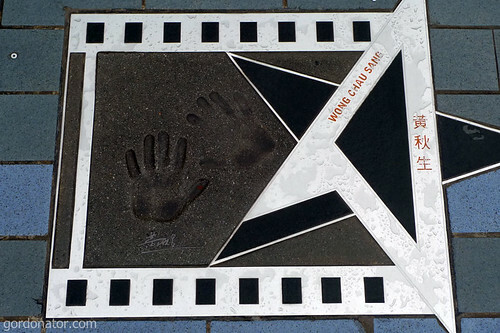 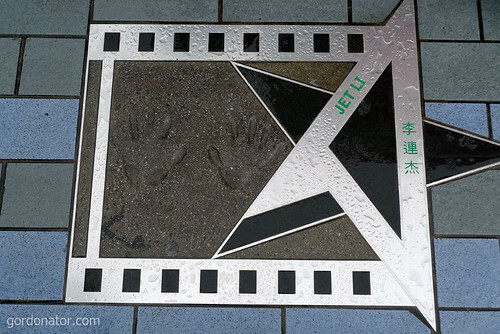 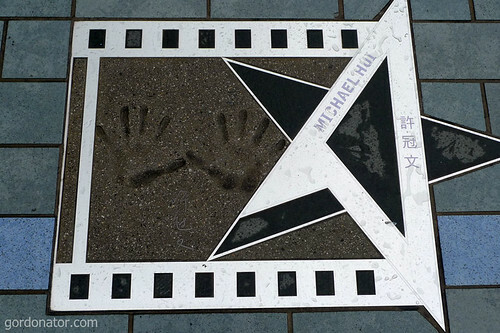 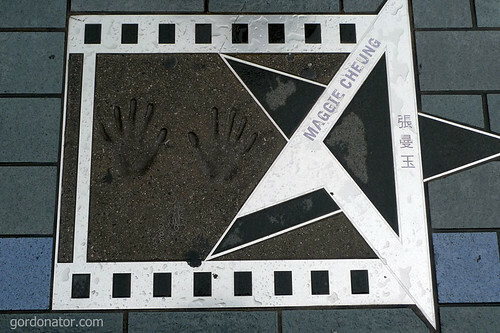 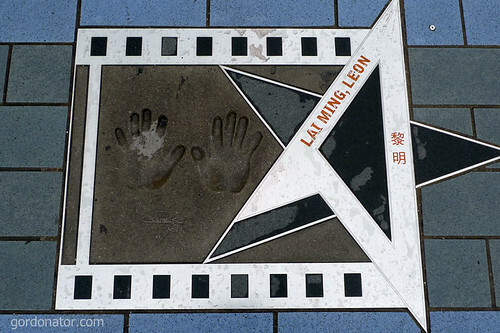 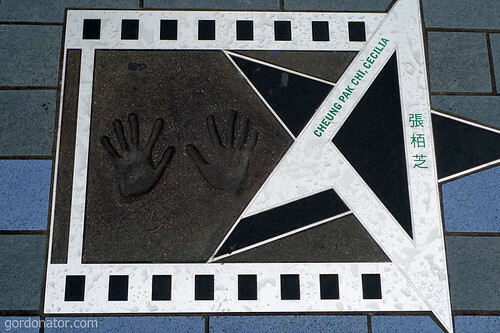 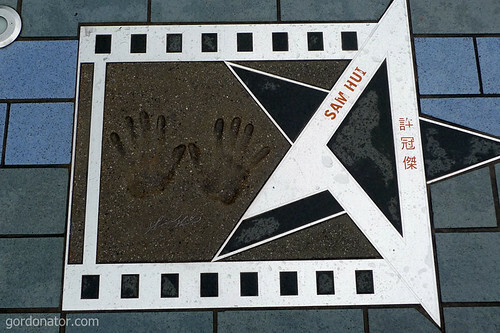 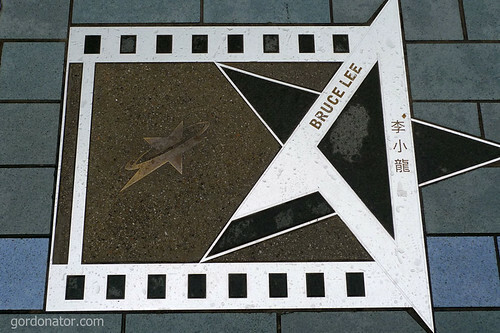 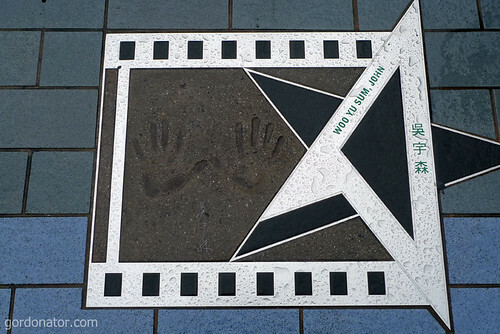 Like the Hollywood Walk of Fame, one to get see lots of Chinese stars’ hand prints on the pavement. 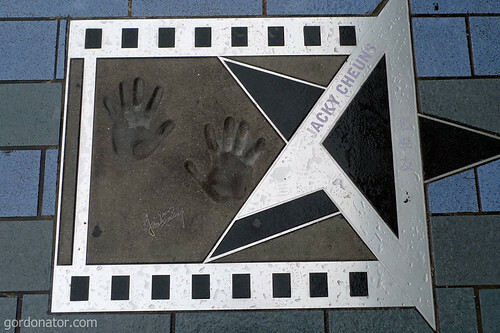 I see Jackie Chan, but Jacky Cheun?